Common Man Games Announces Two New Kickstarters for Police Precinct! Now YOU can upgrade your character’s ability with cool Gear, and hand-picked Specialists that ride along with you! “We are trying to make Police Precinct even better. If you just watched Tom’s review, now try to imagine what he might say about the 2nd Edition…. Fun to think about! The focus of this project is the making, or should we say “re-making,” of the game Police Precinct! If you have been following the history of this game, you might already know that along with the successes have come some challenges. One such challenge was the unfortunate “Melt-Down.” Referring to the hard-drive of the computer that housed the only copy of the game files. This Melt-Down occurred at the best AND worst time possible. Right as the PDFs were being sent to the factory for production. The good news of this timing is that PDFs do actually exist and can be used to slowly piece the game back together. The bad news of the timing was that in the confusion of this situation, errors were made. An important part of of this 2nd Edition is to fix those errors. Beyond this, we want to take certain parts of the game and change them in ways that we feel with improve the experience. 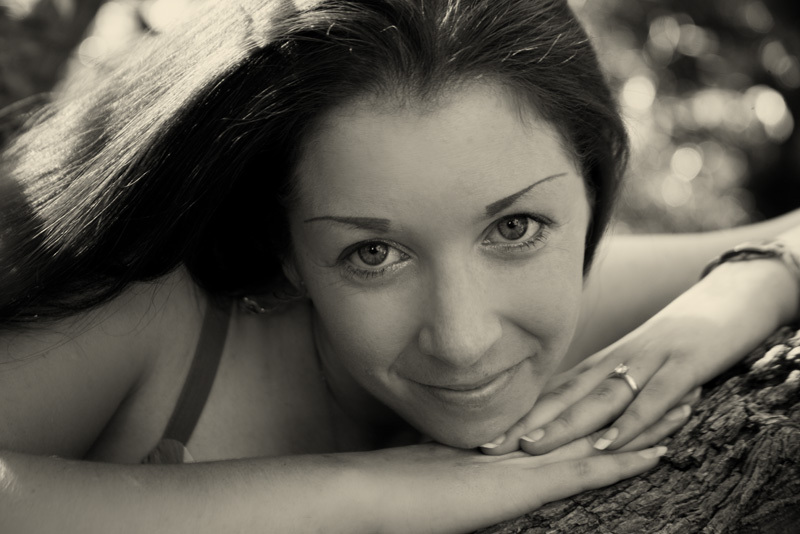 How much of this we can afford to do will depend in part on YOU. So far we have begun work on the Event Deck, the Crime Track, and the Rulebook. We may end up doing more. This depends on certain factors such as, how much support we get from you (backers), and on what expansions, etc. we decide to focus on. Backer support on this Kickstarter will boost our ability to make these types of improvements to the brand Police Precinct. We are even looking at coming out with a stand-alone lightening-fast dice driven version of the game. Stay Tuned! Quarriors Coming Soon to the iPad! For you Quarriors lovers, your favorite dice building game is coming to the iPad® in December! Read the quote from the press release below. Are you ready for something completely different to feed your iPad® gaming addiction? Get ready for Quarriors!, the dice-rolling “deck-building” game coming to the App Store this December. In Quarriors!, you’ll be collecting and rolling dice as your monstrous minions of battle! Each die represents a fantastical creature or hero, with their own attacks, defenses, special powers and an awesome avatar. Death Dealers, Quake Dragons, Warriors of the Quay and much more will round out your dice bag of magical and mighty battlers! 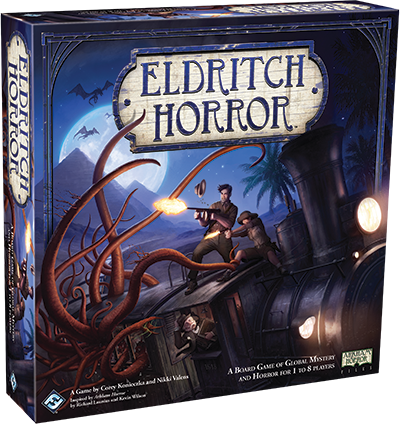 Fantasy Flight Games “Eldritch Horror” Due in Stores This Week! Looking for a great Christmas gift for your favorite board gamer? Look now further than the new “Eldritch Horror” game set in the Arkham Horror universe from Fantasy Flight Games. I am a huge fan of this universe based on H.P. Lovecraft’s writings so I am extremely excited for this release. I found Fowles in an institution for the insane. Madmen gibbered and ranted on all sides of us as I pointed at the symbol on the cracked stone in the photo. “Fowles, you took this picture.” He didn’t respond. “This was a seal. I saw this three months ago and this seal was intact.” Impatient and unsure if my questions were even being heard, I grabbed Fowles by the shoulders. “What happened?” I demanded. And although Fowles remained unresponsive, all of the lunatics in the room began to chant in a sickening unison. They repeated the same message I had first heard in Bombay: the darkness is at hand. In Eldritch Horror, a global board game of mystery and terror, you and up to seven friends take on the role of globetrotting investigators who must must travel around the world, working against all odds to hold back the approaching horror. Foul monsters, obscure mysteries, and brutal challenges will take you to your limits and beyond. All the while, you and your fellow investigators must unravel the otherworldy mysteries scattered around the globe in order to push back the gathering mayhem that threatens to overwhelm humanity. The end draws near! Do you have the courage to prevent global destruction? Today, we are pleased to present a video overview for Eldritch Horror. Watch it below, or on FFG’s YouTube channel. Players take on the role of explorers that are thrown into dreadful halls, scratching for survival and progressing through the chapters of one from many horror stories. Even if they manage to stay alive till the end of the story, they will face a special mini game at the finale of each scenario. A novel way of interacting with environment, inventory, combat mechanics, tactical and storytelling experience all connected in order to give you a complete immersion and replay value. But beware! A horde of unique and terrifying monsters are bent only to destroying your party. If that isn’t enough, Horror itself disrupts and hinders any remaining hope in these comfortless chambers. Enjoy the stunning art and dark visuals of the game, let yourself be entranced in the gripping story and peculiar events. There is no need for game master, no special conditions based on player count, a modifiable duration and difficulty setting. But one thing is always certain – every session is different, huge content and a game that is easy to learn but hard to master. Machina Arcana is already funded but don’t let that stop you as I am sure there is much more to come and add on. This is an awesome looking game that I am very excited about! Tell me your thoughts! Argent: The Consortium is a cutthroat worker-placement / engine building game where the criteria for victory are secret and the capabilities of your opponents are constantly changing. You’ll need to outwit the other candidates, use your spells at the right moment, and choose the correct apprentices to manage your plan. Argent: The Consortium is a European-style game that minimizes luck and focuses on player interaction and strong core mechanics that allow new strategies to emerge each time you play. Argent: The Consortium looks like an extremely fun euro-style game! Make sure you back it if you can! 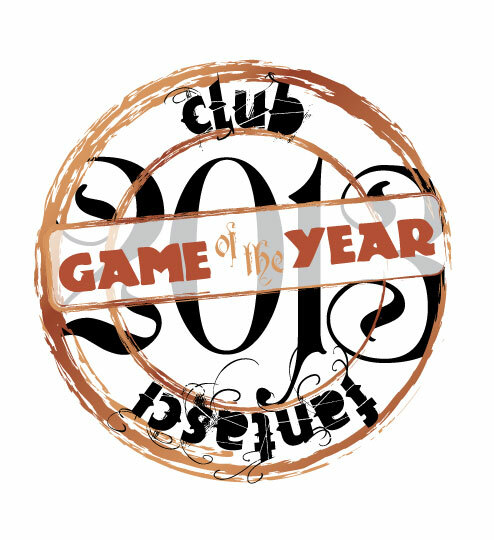 Club Fantasci announces the release of a new awards program focusing on board and role-playing games. David Lowry the board game column editor is announcing the release of their new Club Fantasci 2013 Board Game Awards Program to feature the very best in the board and role-playing games industry. “The gaming industry has being growing at an amazing pace for over a decade but yet there are still so many people who are unfamiliar with all the new types of amazing games that are coming out. We want to introduce these games to the public at large and encourage more social activities between families and individuals” says Lowry. For press questions, board game reviews or interviews regarding Club Fantasci and the board game awards program, please contact David Lowry at the information posted below. Mage Company is running a kickstarter campaign for their 1st miniature game “The Amityville Project: Phobos.” A 2-4 four player game in the Lovecraftian genre, this looks mighty interesting and it is the first of 3 parts. Click the link to check it out and donate!